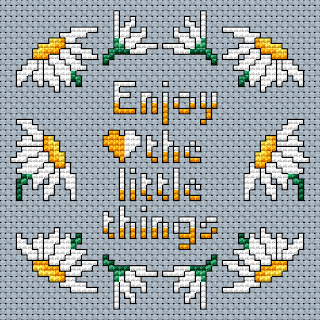 We all know well how relaxing is to enjoy the little things in life. Because one day you will look back and realize they were the big things -. Kurt Vonnegut said it. The road to happiness is paved with simple pleasures. 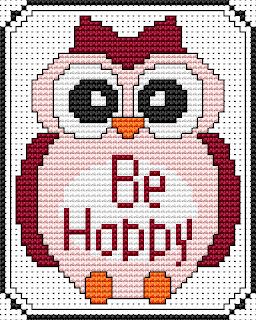 Have fun stitching this small floral design and little owl wishing you happiness and ... Enjoy your summer ! Click on the pics to get the charts in PDF format.